We are approaching the 1-year anniversary of the blowout on the BP Deepwater Horizon oil rig that resulted in an unprecedented oil spill in the Gulf of Mexico. Although this is not an issue that is talked about much outside the coast these days, its impacts are far from over. In the past few months, we have continued to connect with people in local communities to stay abreast of what is going on along the coast. During the UGA Oil Spill Symposium in January, I met a local resident from the Florida panhandle who is steadfast in updating her network on the latest developments and she has graciously included me in her outreach. I also recently connected with Simone Lipscomb, a photographer that has been documenting the impact on wildlife along the coast. She has posted some incredible images as well as some stark reminders of just how serious this issue continues to be. Check out her photos here and her blog here. Recently recorded video with Lori Bosarge from Coden, Alabama describing her health problems she blames on the oil spill. Lori was featured in our documentary film last Fall. 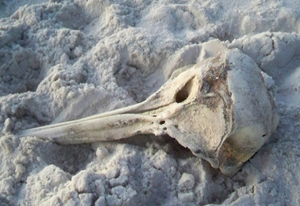 These are just a few in a consistent stream of stories about impacts such as greatly increased dolphin mortality, large areas of oil and tar mats continuing to wash up on beaches, and perhaps most disturbing, reports of locals who believe they are suffering from serious health impacts from the spill. And of course, this all plays into the confidence of people that would normally be visiting the coast. As we come up on the 1-year anniversary of the spill, we are also approaching the high tourism season along the Gulf coast. Time will tell if this season will provide some relief to the businesses that managed to survive the spill and the winter months. This is perhaps the biggest conundrum. Everyone wants this to be over so they can return to their lives as they were before the spill. Unfortunately, it appears that ‘back to normal’ is not where we are today. Ever curious, I recently read the report from the President’s Oil Spill Commission, and there were some key takeaways that are worth exploring. 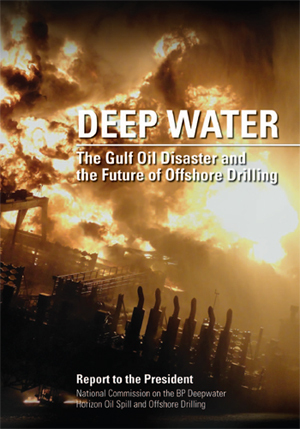 I found the report to be quite a thorough and balanced view of the offshore drilling industry accompanied by some very clear recommendations for safety and regulatory enhancements that would help prevent this kind of disaster in the future. There are no quick fixes to this situation, but to throw our arms up in the air because it’s too hard, or to pretend the problems do not exist is irresponsible and disrespectful to those whose lives hang in the balance, and especially those lives already lost. We must not forget the importance of making meaningful changes to the industry if we are going to continue to rely on these resources to meet our energy needs. I encourage everyone to continue to monitor this story and not let it fade into obscurity. We have work to do, and everyone has a role to play. If you need some ideas on what you can do, visit the Taking Action page of our site. Most of all though, continue to ask questions. Dig beneath the surface chatter and the headlines and ask the tough questions before drawing your own conclusions. Then, engage others on the issue and help them understand why this is important. Just don’t forget what happened here. To do so would be a slight to the entire Gulf coast. This morning, I was reading an email from the Sierra Club, and one of the article headlines caught my attention: ‘The Gulf Still Needs Us.” I couldn’t agree more, and it’s what has inspired me to take action and organize this expedition to the Gulf coast tomorrow. I am looking forward to getting back down to the coast and connecting with the people in the local communities once again. There something unique about being there and hearing the stories of those who are affected face to face. We will do our best to capture these moments so we can share them here with you. Check out the video that Sierra Club posted that shows their experience with some military vets that went out on the water as they describe the precarious position we are in as a nation due to our crippling dependence on oil. This is a complicated issue, there is no doubt. We hope to dig deeper into this in the days ahead and bring back stories directly from the front line. We hope you will join us by following our posts as we go – be sure to check us out on Facebook, Twitter, YouTube and Flickr. And it’s not too late to make a donation of any size. Every dollar counts, and we (and in turn the local communities) can use all the help we can get. Thanks for letting us share this journey with you. There are two conflicting things that are spinning around in my head about this oil spill situation. The first is that there is major suffering occurring in the affected areas of the Gulf region in the form of job loss, poverty, habitat destruction and fragmentation, and just overall economic and ecological stress. Suffering divulges in other areas as a result, such as in divorces, sickness, homelessness, crime, and so on. The second is that we need to end using oil as our main energy source, period. The world’s dependence on oil, and specifically, Middle Eastern oil, causes an exorbitant amount of global suffering, on a much, much, much, much greater level than suffering along the Gulf. This kind of suffering includes exploiting entire countries, systematically keeping people in poverty for decades, outright stealing of oil, an insatiable appetite for political control of oil production and distribution, and of course, pollution and global warming which puts all of humanity at risk. We absolutely need to re-engineer our energy sector so that we can continue to thrive on the Earth, because oil won’t get us very much further. We need clean energy from sustainable sources, if we, as a species, want to be sustainable. Contrast that with the massive oil-industrial complex of the world, or more locally, the Gulf. The Gulf region is a major hub for oil exploration, extraction, processing, and distribution. Because of this spill and the moratorium on deep-sea drilling, the entire supply chain of oil production has come to a halt. Subsequently, all the people who depend on those jobs for income are now at risk and are suffering greatly, as mentioned above. The oil industry is such a massive influence that nearly every job somehow relates directly or indirectly to the survivability of the oil industry. So here is my dilemma: How are you going to tell someone who has lost his or her oil industry job, who only wants that job back, that we need to move beyond oil, and their job will not and should not exist in the future? All they want to do, understandably, is make a living and provide for their family. This dilemma is really part of a vastly complex, more general question: How do we move beyond X when we currently depend on X? In our case, not only do we depend on oil, but we have unimaginably powerful entities deeply entrenched in the fabric of our society that use their massive influence to keep things as they are, because they profit from keeping the status quo. So what do we do? Is it this scenario that motivates me to go on this trip.